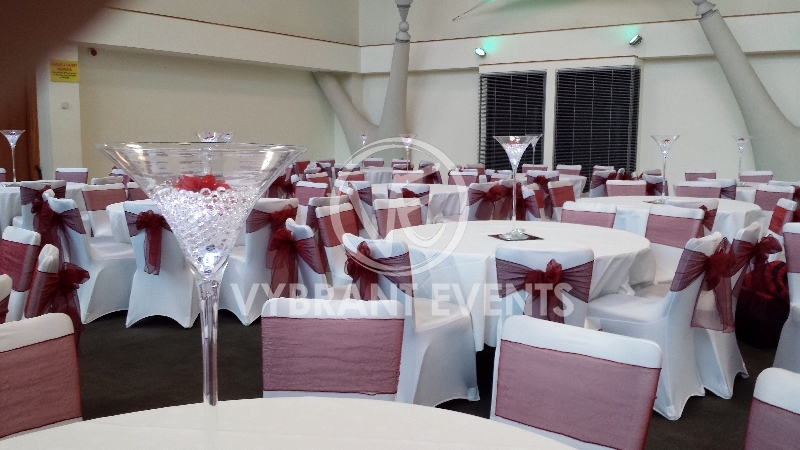 Chair covers, sashes and table linen can add a touch of glamour, elegance and transform your venue to create an eye-catching room for you and your guests. 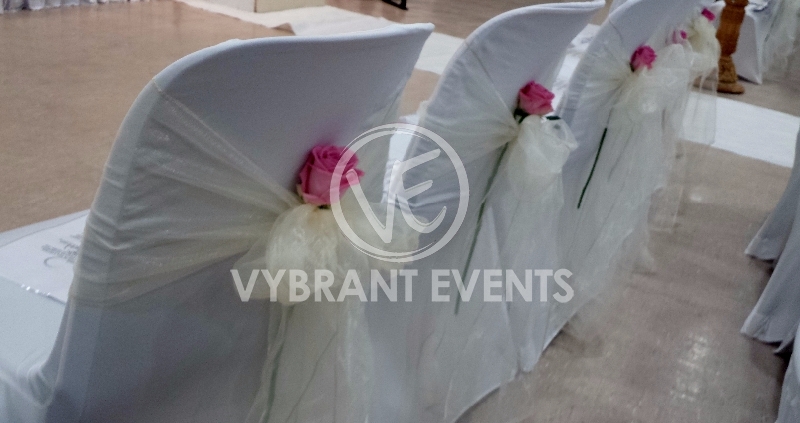 Here at Vybrant Events we offer you the ability to accessorise as much or as little as you wish with over 40 different coloured sashes to choose from, ensuring to add colour to your event. 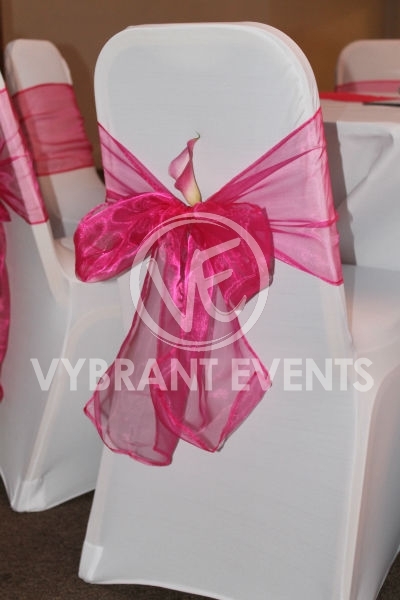 We also have luxurious white chair covers and black chair covers, which will make your event stand out from the rest. Our chair covers are spandex material, which guarantees to fit snuggly on a variety of all different shapes and sizes of chairs. They ensure a flush and uniformed appearance, with the sashes adding a hint of colour. 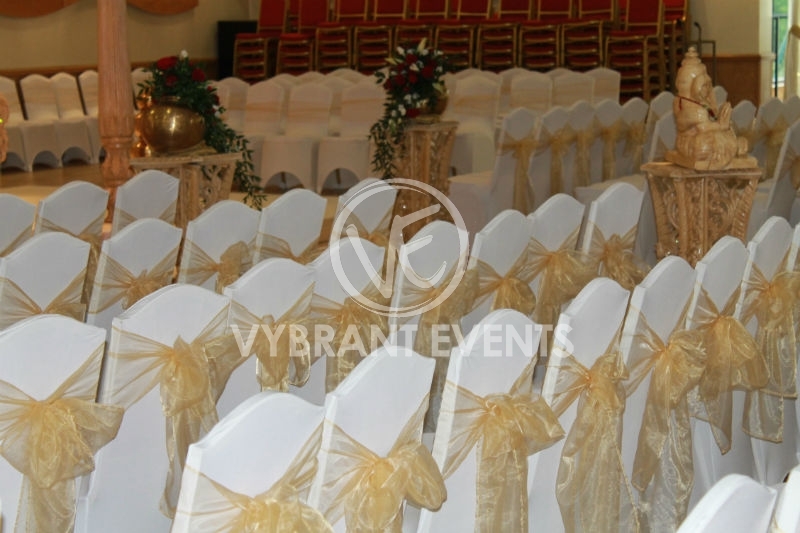 To ensure your guests are comfortable both white chair covers and black chair covers have arcs at the bottom which allows guests to tuck their feet in and happily enjoy the event without experiencing any discomfort. 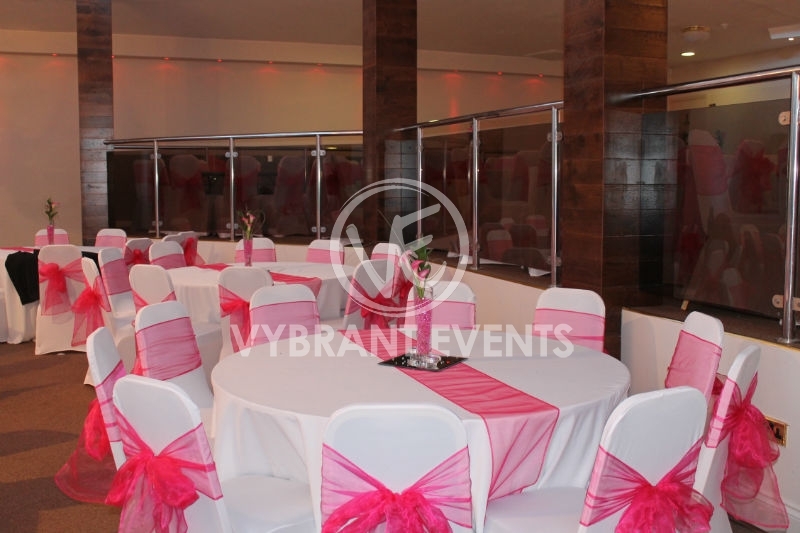 Vybrant Events aim to please all clients, and we have a keen eye for detail. Table linen may seem to be the least important aspect of an event, however we are here to ensure your event looks pristine and with adding table linen to your checklist it will no doubt pull your whole event together, making it look immaculate. 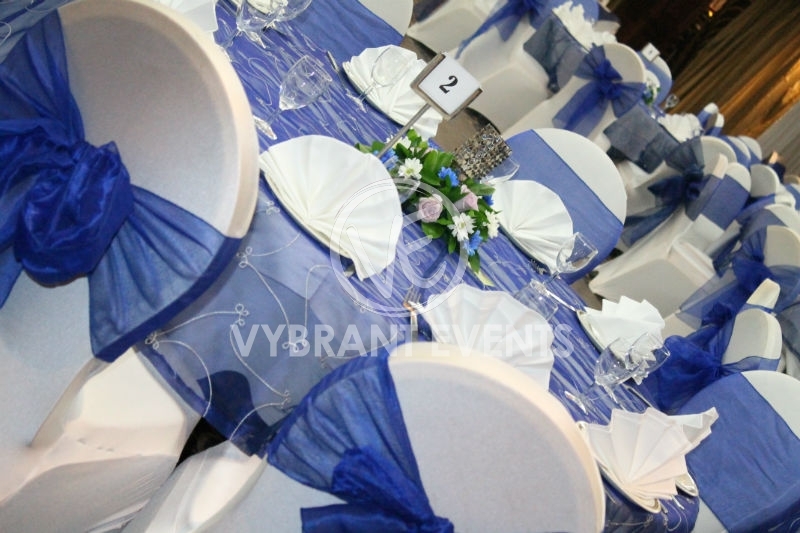 Vybrant Events have white table linen, black table linen and we have a brand new glamourous addition to our linen, this being our sequined table linen. Why not check out our galleries, and get in contact with us to create an everlasting impact.